Xinomavro (also often spelled Xynomavro) is a red-wine grape originating in Greece, more particularly in northwestern Greece, in the Imathia region of Macedonia, in what are now the monovarietal appellations of Naoussa and Amynteo; Naoussa is often regarded the best source. Xinomavro is generally considered one of the dozen and a half or so of world-class grapes (those in boldface in the dropdown varietals lists near the top of the page). There seems some differences of opinion on how "Naoussa" should be spelled: some sources only put in one "s". We have tried to follow the winemakers' preferences wine by wine, but refer to the class as a whole with the two="s" spelling. Xinomavro is not a wine of our times (in any sense). It is a tricky devil in the vineyard: if the vineyardist lets it go, hoping to obtain quantity, quality takes a nosedive, and thin, acidic plonk results; but neither can it be made into the sort of huge Parkerized, internationalized, Shiraz-like red that is so popular today. It can only, made with care and skill, be itself, a red more like Pinot Noir or Nebbiolo in that it trades on delicacy and requires some nontrivial bottle age to get to where it should be. Nor is it a fruit-forward "jammy" wine: its flavors are (as you will see below) variously described, but almost never in red-fruit terms. Tomato, olive, spice, and earthiness are the recurring descriptors. And it is high-acid and high in tannins (which is why it both bears and usually requires that bottle aging). If you are interested in wines that require some care from both the wine maker and the wine drinker, this will be your sort of wine; if you want a fruit bomb, look elsewhere. At least one writer observes that there are now two distinct styles of Xinomavro emerging: "traditional", with high tannins and a need for nontrivial amounts of bottle aging; and "modern", vinified to be more fruit-forward and drinkable young. That last is relatively new, and it looks like many observers think it inappropriate for this varietal (though there are certainly at least a few successful versions). "Wines made from this variety lack primary fruit on the nose; instead one finds an intriguing combination of olives and tomatoes. But on the palate, raspberry flavours typically shine through. The colour is often pale and relatively unstable, and can evolve quickly into a tawny colour in the glass. The rim often looks mature even in young wines. . . Poorly made Xinomavro is an undrinkable, sour liquid. It is no mistake its name translates to “black acid.” It takes more than average winemaking talent to soften the harsh tannin structure. But the best winemakers are able to craft stunningly rich and concentrated wines that are truly world-class, able to develop and mature over many decades. It is a sublime pleasure to taste matured bottles of top Xinomavro. Its vegetal character increases over time, and the harsh tannic structure that Xinomavro often exhibits when young softens considerably, transforming the wine into a velvety pleasure. 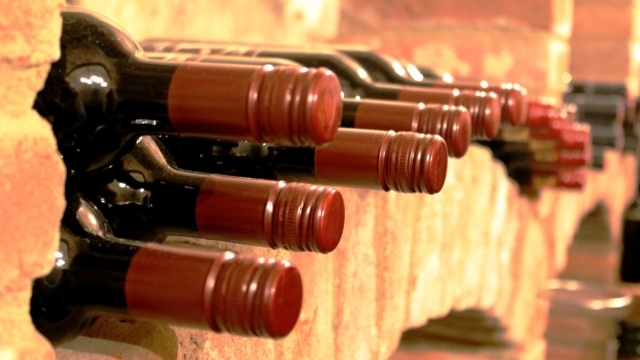 These wines gain a lot of elegance over time, losing all their roughness." "What makes Xinomavro stand out from the crowd is its potential for elegance. The wines it makes, especially in Naoussa, can be very fine indeed. . . Some people like to compare Xinomavro to Pinot Noir and in terms of colour and tannin that contrast gives you a pretty good idea of what it is like. If I have to compare it to anything though, and it does make things easier if you have never tried one, then I think Nebbiolo might be a better bet. True it is less tannic, but everything else is bang on, body (not that full, whatever the books may say) and acidity, more importantly it has red fruit characters and a similar deeply savoury, umami nature. While Pinot always makes think of red cherry and raspberries, I see from my notes that Xinomavro for me is often very tomato-like in flavour and aroma. Sometimes the tomato feels fresh, other times more sun-dried or cooked and even occasionally just tomato stalk, but it is always there and makes the wines go superbly with the wonderful local cuisine." "The Xinomavro grape has a rich tannin level and can age well. It possesses complex scents and aromas of fruits such as gooseberry, dried tomatoes, spices and olives. Depending on the vinification and ageing process, the Xinomavro wine may also possess a woody aroma with hints of redcurrant. Furthermore, the Xinomavro wine has a thin texture and high acidity." "One could compare Xinomavro to the more famous Pinot Noir, to the great red Burgundies, or to the Italian Nebbiolo grape and its benchmark wines of Barolo and Barbaresco. Like Xinomavro, none of these varieties is appropriate for making large-volume, everyday wines. Attempts to do so usually result in featherweight, characterless wines that range anywhere from charming, to easily quaffable, boring, thin, and aggressive. But the best examples are unquestionably among the top wines of the world. . . Xinomavro wines almost never have very deep color or bluish tints, and tawny hues are apparent, even when the wine is still in barrel. The nose is usually intense, even high-pitched, although bottle aging couples these "soprano" notes with more "contrabass phrases". One of the criticisms often heard about the Xinomavro variety is that it lacks vibrant, fresh, sweet-fruit notes, and leans instead more towards dried prune, cherry-tomato, and very often strawberry facets. But why should anyone miss the fruit when there is so much more going on in the wine? Sweet, exotic spices and finely powdered Mediterranean herbs are matched with haunting nuances of leather and wet earth. The palate has a crisp acidity and a firm tannin structure, giving more extract and density than body and broadness." "There are also many different clones of the grape which differ markedly from one another in virtually every way that you can think of. They flower and ripen at different times, have different bunch and berry sizes, have different vinous characteristics (fruit, acidity and tannin) and reach their peak ripeness in different microclimates. No one clone seems to have the magic combination so many different clones are grown on different sites and blended together in the winery. Once you get past all the growing troubles and issues in the winery (many clones have poor color stability and can create very odd aromas when vinified), the wine that you get tends to be fairly light in color and very high and acidity and tannin. In short, it is the polar opposite of the kind of wine that is very much in fashion right now in that it's not very accessible in its youth and tends to demand food. Needless to say, Xinomavro is facing several uphill battles in the world marketplace." 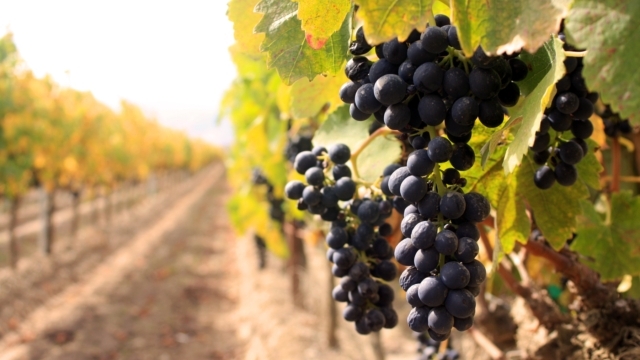 "Most often it is compared to Pinot noir and Nebbiolo and it matches their quality. . . [It] seems to be completely maladapted to today's market's reality. It's impossible to make large quantity of a light easy drinking beverage. You really have to limit the crop severely to get good quality wine. Otherwise... the name of the variety (meaning black-acidic or bitter) says it all. To make a big, dark, solid, full of extracts reminding you of most of today's so–called premium wines is not possible either. Extraction pushed too far doesn't improve it. But if you take care of it in the right way, you get a wine of outstanding finesse, complexity and potential. . . The wine looks like Pinot noir or Cabernet franc. It's got quite light colour, easily gets oxidised, looses it's purple hue already in a barrel. In it's nose you can find dried plums, sun dried tomatoes, strawberries, gooseberries, blueberries, raspberries, truffles, leather, wet earth, lots of aromatic herbs and spices. Quite high acidity is also characteristic, it helps to preserve the wine for a long time. Because it's not a wine to drink while it's young you should try to drink Xinomavro when it is at least five years old. However they are really at their top after about ten years of ageing. Some people say that you have to wait a quarter of the century to let them get to their optimum. But really before deciding for how long you are going to put your bottle in the cellar, it's worth checking where it exactly comes from." "The variety is highly regarded in its native Greece as the finest red wine the country has to offer. With its characteristically high tannin and acidity, Xynomavro is structurally one of the biggest red wines in the Mediterranean, and indeed Europe. . . In Naousa, where Xynomavro is extensively grown, winemakers boast of the completeness of their wine. In some circles the use of oak is frowned upon. Locally grown walnut is the preferred choice for aging since it imparts no discernible flavor. 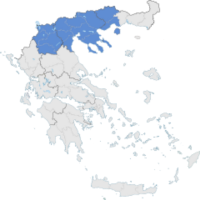 The ideological approach to the grape can be best illustrated by two Greek appellations' requirements for its treatment. In Naousa, Xynomavro must be produced as a single varietal wine, while further south in Rapsani it must be blended with Stavroto and Krasato. . . However exponents of the 'old school' frown upon any practice of blending Xynomavro. A grape, they believe, too noble to dilute. . . Vintage variation is a significant factor to consider with regard to purchasing decisions since the weather can play a large role in Xynomavro’s quality. Aged examples of 100% Xynomavro are often compared to the great wines of Burgundy and Barolo, though they have been also been likened to everything from the color of red Rioja to the mouthfeel of Chianti." "It literally means "acid black" and when it’s badly made it tastes as bad as it sounds. When it’s good, it’s a really unique, tasty wine. I’ve only had the opportunity to try a few, but usually they taste like licorice, herbs, and even olives, and are earthy with big tannin. They tend to tip the scales in alcohol, which I don’t really dig, but not to the extent that they are undrinkable. The other attributes of the wine make it worth the burn." "The deep black grapes flourish in the semi-mountainous area known for its full-bodied, intense wine that need time to age to truly let their flavors shine, but when they do the well-aged Xinomavro could be easily mistaken for an earthy Barolo or Nero d’Avola." "The wines made from Xinomavro are known for their superb aging potential and their rich tannic character. Their complex aromas combine such red fruits as gooseberry with hints of olives, spices and dried tomatoes." There were several more we could reasonably have included, save that each seems to be carried by only a very small number of retailers (at least per the big wine-search engines). There remains, however, a respectable core of accessible Xinomavro specimens (most from Naoussa). But keep an eye out for monovarietal Xinomavro from any of Hatzimichalis, Pavlou's Klima, Foundis, Dalamara's Paliokalias, or Vaeni's Damaskinos (if you see any at a good price). ♦ [A] bargain priced bottling that is going to consistently offer great value if you like its style. Given the charm and the nice price point, I suspect a lot of folks will rightly make this one of their staple Greek red purchases. This young vines Xinomavro admittedly lacks the concentration and future complexity of its big brothers, but I won’t be surprised if many people like it as well. What it does do is be more expressive at a younger age and more exuberant. The fruit is much more open and intensely flavorful--even to the point of a sweet, slightly candied note on the finish that admittedly not everyone will care for. Still, while lighter styled, fruitier and sweeter, this Xinomavro retains powerful echoes of traditional Xinomavro, meaning that it executes its exuberant style especially well by including a real backbone and good acidity, not just being simple and fruity. It is as if one blended traditional Xinomavro with Gamay. Silky in texture, young and primary, it is awfully hard to resist. This is what I call a 'waiter with the water' wine after the Ella Fitzgerald novelty song. You know it is not quite as serious as it could be, but you can’t resist it anyway. This is a different vision of Xinomavro and being fair to it requires just a little palate adjustment. This has to be judged in its own context; it is its own creature, for better or worse. Most will think it is quite a deal. ♦ This could well be the best wine to try first, if you have never tasted a Naoussa. It is gloriously bright and seductive, bursting with cherry and raspberry fruit with fresh acidity and attractively chalky light tannins. Fresh tomato and tomato stalk characters provide the savoury notes to balance the sweetness of the red fruit. A lovely user-friendly wine that goes with all manner of lighter dishes and tastes good lightly chilled too, if you like good Gamay, Pinot Noir, Nebbiolo or Barbera this is the wine for you – 89/100 points, it scores especially high marks for value. ♦ Unique and engaging, this wine is earthy cinnamon red in color, like the underbrush. Briar. Slight essence of sherry gives way to juicy, refreshing wild berries on the nose. This continues on the palate with undertone of pure bing cherry. Notes of blackberry, red and black currant are tart and wild sweet. Spicy herbaceousness is present, with ubersoft, smooth mouthfeel and tannins that offer an ultimately dry finish. I love this style wine and found it absolutely delightful, with much finesse, even restraint. After some breathing time, depth and sensuality. One could also imagine enjoying it with a slight chill on, in warmer sunnier climes. ♦ The fruit is from 5-15 year old vines. It is fermented in stainless steel with indigenous yeasts, undergoes malolactic fermentation, then aged for three months with 70% in tank and 30% in used barrels which originally held the Uranos [Thymiopoulos' upscale] wine. The color is a light ruby with a garnet rim. There is a well-done, scented nose with floral and cinnamon-like aromas along with a sweet undertone. In the mouth there is light to medium bodied red fruit, some weight, and fresh acidity. The flavors follow the nose, with a cooler climate aspect, and a tart finish with pleasing tannins. ♦ Sourced from the estate's youngest, newly replanted organic vines, this vibrantly fresh, unoaked red offers an unexpected interpretation of the grape. A bit like Greece's answer to the top crus of France's Beaujolais region, the Young Vines is best served with a slight chill, which highlights its bright, wild-berry freshness. The wine's herbal kick, forward fruit and gentle smack of tannins make it the perfect partner for spiced dishes. ♦ This is only the young vines version, but it gives you an idea of how classy Xinomavro can be as a grape. It's part Nebbiolo, part Pinot Noir, part Nerello Mascalese, but also has a savoury note that is all its own. Scented red fruits, mid weight tannins, a whisper of oak and pine resin. Not many countries can deliver quality like this at just over a tenner. ♦ [T]his wine has a wonderful purple red colour. Complex, typical bouquet of red small fruits, cherry, blackberry, plum. Full mouth, rounded tannins, balanced acidity. Long and pleasant aftertaste. ♦ This comes from a region about an hour southwest of Naoussa that had fallen off the wine map until Yannis Boutari (of Kir Yianni) lent a hand to his two friends (dio fili), Georgia Gkoutziamani and John Polyzou; they produced their first vintage in 2007. It's intensely cherried, sour and bright, with tobacco scents and mastika spice that leave it feeling cool and fresh. While the tannins are serious, the supple fruit washes over them, leaving the length of the wine the main evidence that they exist. 91 points. ♦ This red wine struck me as soft and subtle, and it was dry with potent tannins. It was listed as a wine that could age for several years. Some other tasters thought they'd prefer to let this wine age before opening another bottle. I liked it as-is. ♦ Grown at 3,116 feet, the Xinomavro is intensely cherried, sour and bright, with tobacco scents and mastika spice that leave it feeling cool and fresh. While the tannins are serious, the supple fruit washes over them, culminating in one of the most exciting reds we've tasted from Greece. ♦ Tannic yet juicy and deeply fruity. ♦ [This] wine stood out head and shoulders [in a tasting of vintage 2000 Naoussas] for its colour, freshness, and ripe-tannin tasty structure. . . Tawny ruby. Strawberry scented. Attractive fruited ripe tannins. Earthy spice, succulence. Richer and sweeter than any other wine in this vintage. Keeps evolving in the glass. Focused austere finish. Serious. Worth ageing. The single vineyard character is a revelation. ♦ A clean, mature, ripe and savoury example of xinomavro from Katogi-Strofilia, as is the house style, with earthy, sun-dried tomato, black olive tapenade and leathery fruit – all very inviting and engaging. The palate is mid-weight, firmly structured but not austere, with dusty tannins and crunchy acids, but quite fine length and depth overall. For fans of Italian-style, dusty reds, excellent with grilled proteins. ♦ Nose of dusty plum, blackberry eucalyptus, spice and slight smoke; ripe and berry-like but not overly fruity. Mouth-filling suppleness; balanced with some astringency on the finish. ♦ Dark ruby color. Rich craisin, roasted pepper and tomatoes, clay, and spicy gherkin aromas and flavors with a silky, dry-yet-fruity medium-to-full body and a juicy, sour cherry, mint, and peppercorn accented finish with fine tannins. Great flavors and sense of place. ♦ Lifted fruit aromas. Vibrant acidity and firmly structured tannin with fresh redcurrant fruit. Slightly puckering now [2001 vintage in 2005] but could develop well. ♦ A pale ruby in the glass, this wine opened up with aromas of raspberry, cherry, plum, licorice, earthy and minerally notes. On the mouthfeel, medium bodied, dry, rustics in the best sense of the word with lively acidity and firm, dusty tannins. Medium length and weight on the finish, bright fruit flavours and a nice tannic grip lingering. For those of you who have never experienced Xinomavro before, this one reminds me of two Italian grapes: Aglianico and especially Nebbiolo. This wine is most interesting and a superb value, strongly recommended to fans of old world wines. It will need a little time to open up (1 hour decant would be a good idea), as recommended by the winery on its label, best serve at 16-18 °C. Final note, this wine was even better the next day, score 89 points. 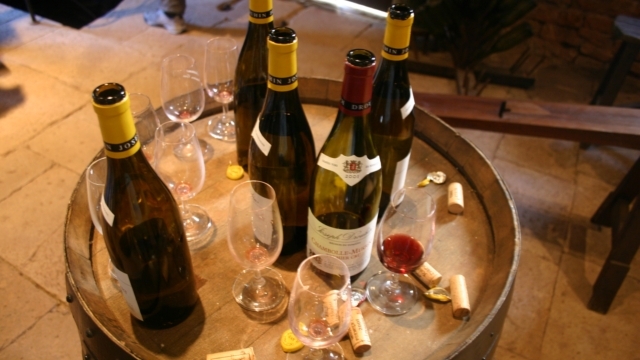 ♦ The wine had a light ruby color in the glass and and a generous nose of crushed red berries, stewed cherries, rich raspberry and some redcurrant with kind of a leafy, herbal edge. There was kind of a chocolate note in it too, like a chocolate covered dried cherry. The texture was a little thin and the wine had a very high acidity and very grippy tannins. I've seen a lot of comparisons between Xinomavro and Pinot Noir, but I definitely agree more with Konstantinos Lazarakis (in his The Wines of Greece) in that I think the more appropriate comparison is with Nebbiolo based wines from the Piedmont. This wine demands food (think meats and pretty much anything you'd serve with a Barolo) and has the structure to age for awhile yet. ♦ Color: The wine tends to be a little brown around the edges regardless of age, but this one is 5 years old so it was a deeper brown/garnet. Smell: Strong licorice/ouzo smell (yes, I was thinking of other Greek things I know), the wine had the same alcohol burn in my nose as the Greek spirit does. I also smelled like black cherry, dark bitter chocolate, dirt, herbs, prunes and a little bit goat-y or like tangy goat-cheese. Taste: I hated my first sip but loved my third. This is a wine that you may have to sip a few times to appreciate. It tasted like licorice, dark chocolate, and earth. Nary a fruit to be tasted, but lots of texture in form of strong mouth drying tannin and a big alcohol burn down the hatch. That said, I’d say the wine is more light to medium in texture, and it was pretty balanced. . . Unique and interesting, I liked that I hated it at first and then wanted more when the bottle was gone. . . If you get this, make sure that you’re ready to invest a little time in sipping it. It’s not immediately gratifying but if you want to dork out and give it chance, you may change from hater to fan in the span of 30 minutes…not a bad experiment! ♦ This is a red wine is made from 100% Xinomavro, and appears as a pale garnet color in the glass. It is clean with developing characteristics of sweet spice, earth and leather. It is dry with a higher acidity, high tannins and a medium body. The palate is similar to the nose, but with more complexity: leather, spice, red fruit and tobacco. This is a good wine with potential to age. I think it would be best suited to enjoy with food though. ♦ Typical, classic wine of Naoussa. Deep red colour with an intense personality. It produces a rich bouquet of ripe red fruit, blackberry and plum, together with sun-dried tomato and the aromas derived from ageing, cinnamon and wood. A rich body, good balance and structure, soft tannins in its finish. ♦ [It] is traditional in style offering flavors of tomato, herbs and cedar with good acidity and firm tannins. ♦ A terrific bargain and a really excellent rendition of Xinomavro, this shows medium body and lots of nice little aromatic nuances, with sufficient stuffing to get even better with age. ♦ The 2011 Kokkinos, Xinomavro, Naoussa smells great and will tempt any fan of maturing Southern Rhone wines. It is firm in the mouth and did not give up the level of mature flavors promised by the nose. Still, it is a wine to try and if you do so I would try double-decanting it. ♦ Very fine aroma of black-berried fruit, strawberry, disappearing into ripe tannins. Expansive juicy fruit. Not over-extracted. Seamless oak. Attractive balance between acidity and tannins. Smells and tastes like no other Naoussa, yet brims with character of the PDO snapshots from which it hails. ♦ I found it to be light in smell and taste with light tannins. Recommended for the bottle to be opened at least half an hour before serving. 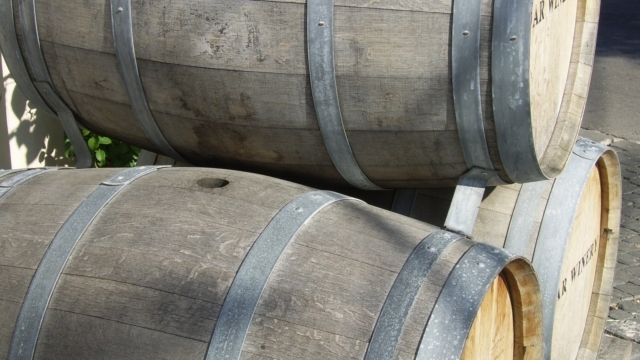 ♦ In a nutshell, Kokkinos wines are excellent to get to know Naoussa wines. Enjoyable, these are good and promising wines leaving space for quality to level up. •2011 vintage: Dried red fuit, oxidative hints, some earthy minerality on the nose. Not very intense on the palate, starts smooth finishes with astringency. 88 points. •2012 vintage: Blood oranges, even roses on the nose with ripe cherries. Refined on the palate with strong peppery flavours finishing long. Stylish and polished. 91 points. •2013 vintage: Quite a lot of oak, deep spicy, savoury and earthy nose. Very young and awkward at the moment but with potential. Needs time to mellow. 89+ points. ♦ Really funky stuff, but well-nuanced and round. Cellar floor. Massive oak, but a good chunk of acid to balance everything out. Kinda boring. ♦ Earthy red with a kiss of orange pink in the rim too. Delightfully vibrant nose, with red cherry and leaf mulch forest floor sort of aromas. Plenty of soft fruit, red raspberry and deep cherry on the palate. Lovely almost creamy texture with some spice and oak characters like toffee and coffee and the acidity provides a balancing touch of freshness. The most Pinot Noir like Xinomavro I tasted on the trip, beautifully balanced and ageing very very slowly. 92/100 points. ♦ Elegant and full of silky tannins. Dried cherry, fig, raspberry and Asian spice flavors are lush and broad in texture, with a long, minerally finish that features French roast notes. ♦ Domaine Chrisohoou located in the legendary Naoussa region of northern Greece is an outstanding producer of Xinomavro and Xinomavro-Merlot wines. . Estate Chrisohoou . . . [is] aged 18 months in oak, then 2 years in the bottle. Estate Chrisohoou is 100% Xinomavro, and is rich, with complex aromas and flavors of cherry, vanilla and raspberry, balancing tannins and a long finish. ♦ Surprisingly good, at its peak right now [1999 vintage tasted 2009] with a fairly dark color with some garnet-brick hues, ripe tomatoe and some red fruits on the nose, mid-bodied on the palate with very soft tanins, nice fruit and balancing acidity. Fairly long finish. Nicely aged. 88 points. ♦ Their vineyards are located in the south-eastern slopes of mountain "Vermion" at an altitude of 250 meters, in the region Strantza Naoussas. These conditions are perfect for the production of light Xinomavro wines (only 12.5% alcohol as you can see on the label), with a good structure and with a tomato leaf note that is so characteristic of the grape. Xinomavro as its best! By reviewer average points, it's only a little better than what's listed above, but then it only costs a little bit more then they. It's the Domaine Karydas Naoussa. This page was last modified on Saturday, 3 June 2017, at 1:54 am Pacific Time.